Beef burger with ketchup, mustard and pickles on a soft sesame seed bun. 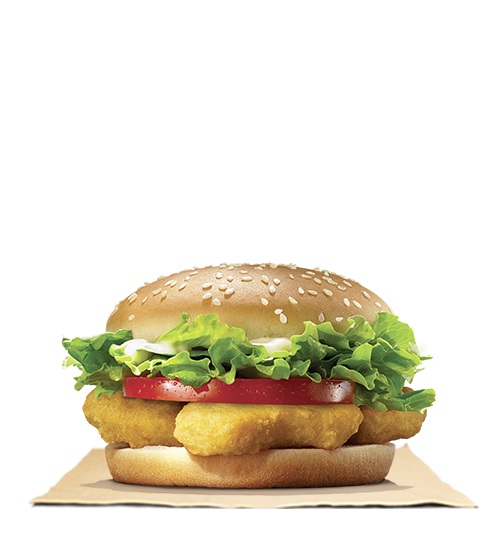 Tasty chicken patty on a toasted sesame bun, topped with fresh lettuce and creamy mayonnaise on a soft sesame seed bun. 3 white meat chicken nuggets on a toasted sesame bun topped with iceberg lettuce, juicy tomatoes and creamy mayonnaise on a soft sesame seed bun. Chili cheese nuggets the perfect side for your meal. Deliciousness comes in full circle. Hot and crispy onion rings, add it on your meal and you won't regret it! Beef burger with cheese, ketchup, yellow mustard and pickles on a soft sesame seed bun. 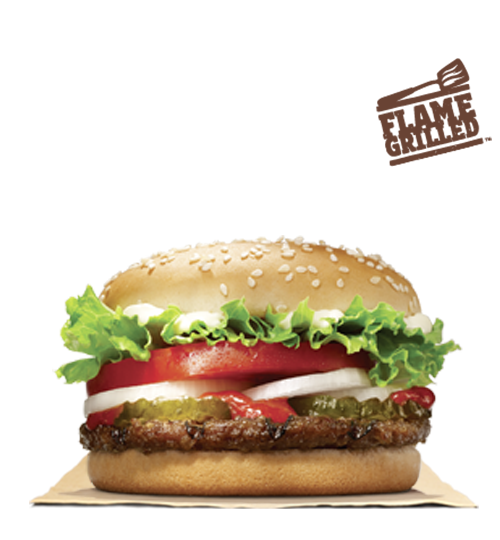 Savory flame-grilled beef topped with juicy tomatoes, iceberg lettuce, creamy mayonnaise, ketchup, crunchy pickles, and sliced white onions on a soft sesame seed bun.